as part of the Millwood Holdings Group. Read all about us here. 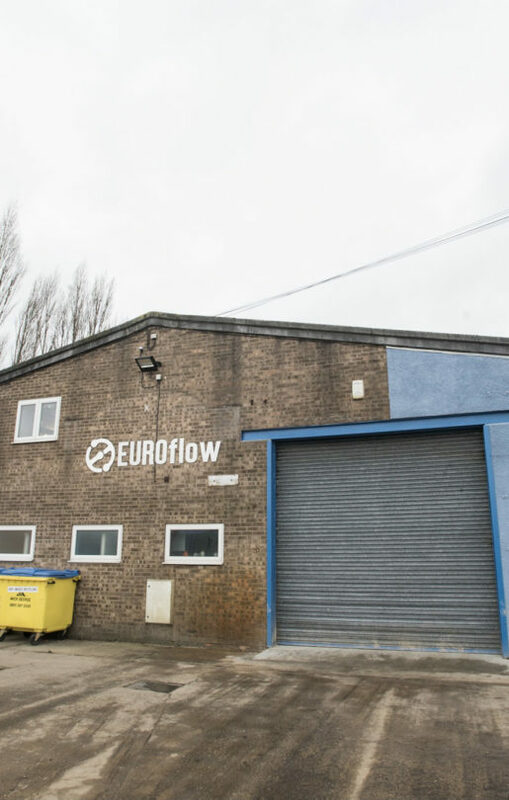 Euroflow Engineering is a family-run business, that has been established for over 30 years. Originally set up in 1988 by Michael Milnes, the business is now run by his daughter, Melanie. Euroflow is proud to be part of the Millwood Holdings Group of companies. Based in Boston, Lincolnshire, Euroflow are leading manufacturers of bespoke solutions and applications within a wide range of industries. As well as providing a standard range of products including denesters, filling machinery and conveyors. Euroflow manufacture custom solutions for your individual packaging requirements. Euroflow can solve complex issues with innovative solutions. With a dedicated in-house design team, and an engineering team with over 30 years of experience. Using state of the art 3D design software, the team provide a bespoke service. Allowing you to visualise the final product, before construction even begins. Euroflow are focused on automating the future. Specialising in manufacturing full turnkey solutions that generate rapid returns on investment. By reducing the level of manual labour within production lines, the entire process becomes more efficient and time-saving. From simple, reliable denesters, to full turnkey solutions, we can provide a system for you. Feel free to take a look at some of our most recent case studies. Rely on us to provide a complete service from the initial concept. Through design consultations and manufacturing, to installation, commissioning, servicing, spare parts and technical support. Experts in taking your production problem and creating an original solution to quickly reduce cost. Increasing productivity and dramatically improve reliability and consistency. Using the latest, state of the art 3D design technology, we make sure you’re happy with your process and packaging machinery. Before we even start the build. Promoting maximum efficiency and quicker development lead time. From the very first denester and pot droppers, Euroflow have expanded their portfolio of products. Moving further into the automation industry. We are also now involved with the integration of robotics. Euroflow are the sole UK agents for Millibar (an intelligent vacuum solutions company). We are also now proudly a leading integrator of Universal Robots, working with R&R UK Ltd.